SkillFitness allows you to get the most out of your training investment with their award winning mobile solution. Skill development solutions for every type of business. 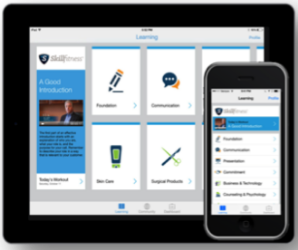 See our mobile solution in action and take your training to the next level with SkillFitness. Use our powerful mobile training platform to extend the impact of training you provide or create for your customers.